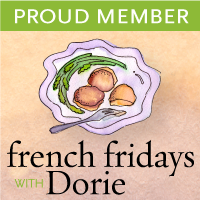 It's a French Fridays with Dorie two-fer! I was on vacation last week and didn't have a chance to write a post about the Speculoos I made before I left. I had some issues with the Speculoos. The dough was too sandy and wouldn't come together even after chilling. I kept thinking that the recipe should have called for an egg. More on that on a minute. I rolled out the dough, cut out a few small cookies and tossed the remaining mess. Fully expecting these to be a disaster, I was extremely pleased to find the cookies were delicious! Crunchy and full of warm cinnamony/gingery flavor! My daughter commented they tasted like Biscoff cookies, those yummy treats Delta often hands out on their flights. I kicked myself for not being more patient and throwing out half the cookie dough. Fast foward a couple of weeks and while reading through other blog posts about Speculoos, I remembered the ERRATUM! My baking instincts were correct - the batter should have had an egg. So, I can't wait to try these again with the corrected recipe because they were pretty dang good even with my goof up! The Sweet & Spicy Nuts were just okay. 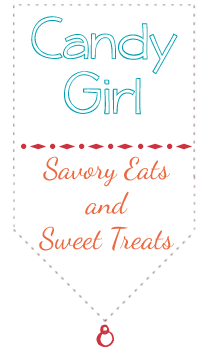 I like to make David Lebovitz's Candied Peanuts (or almonds or pecans) around the holidays and was excited to try a spicier version of a candied nut. While they tasted fine, I thought they were kind of generic and lacking a bit in spice and heat. I followed the recipe to a tee, and even hand picked each of the pecans out of the batter. I thought this step was a bit tedious especially since I still had to seperate the nuts after baking. Not a bad recipe by any means, just not what I was hoping for. I am laughing at your not adding an egg. I have not made these yet and I just know, I am going to forget that egg. The nuts at first did not seem spicy enough but on the second day, mine livened up. Well heck the cookies look splendid even if you messed up..I think the nuts look great even if they werent' your fav. Happy Holidays to you and yours!! I hand wrote the egg in my book, because I just KNEW I would lose that little slip of paper. But they made a really pretty picture! So sad about the egg! I hand wrote a egg into the recipe...but it made me feel badly that I wrote in my new cookbook...but I'm glad I did or I would have forgotten the egg too! Your nuts are beautiful, and I played with the spices...put in a big more. I will have to check our David Lebovitz's recipe to compare...but...everyone loves my nuts, in fact, today someone was comparing them with a package from David and Harry (or Harry and David...) anyway, they are expensive and a special treat and mine got the rave reviews...way over the top of the specialty store bought nuts! The nuts are one of my favorites so far. I think the cookies are next, and I keep reminding myself to write in the missing ingredient so I don't forget it. I'd never have known because your cookies look delicious. This was the first time I made candied nuts, and they tasted great. Now I have to go look for David Lebovitz's recipe and Miss Kris's! I have the little paper on my desk, but I am fairly sure that I will forget all about the egg when I make the cookies next week. I've never heard of speculoos! I hardly ever fly Delta anymore but loved those cookies when I did. Bookmarking these to make in the future!! I;ve been hearing tons of stories about Biscoff and have never had one before, so I'm looking forward to these cookies so that I can get an idea of what they would taste like. You're cookies and nuts look super yummy! Your cookies and nuts both look great! I placed each nut on the sheet individually, but I don't know what it accomplished. Next time, I'll add more spice and also just spread them in the pan. A fast recipe will be even faster! I can't believe how well your cookies turned out without the egg! They look great. I think it's really important to experiment with the nuts until you've got a spice mix that suits you. I've tried them a couple of times now and they've been quite tasty.